RCTFC athletes (l-r) Lauren Vanee, Kathryn Oostenbrink, Grace Vanee and Grace Fetherstonhaugh tough it out at a Saturday morning practice. RCTFC athletes are eagerly anticipating the start of their scheduled outdoor season practices which begin early April. 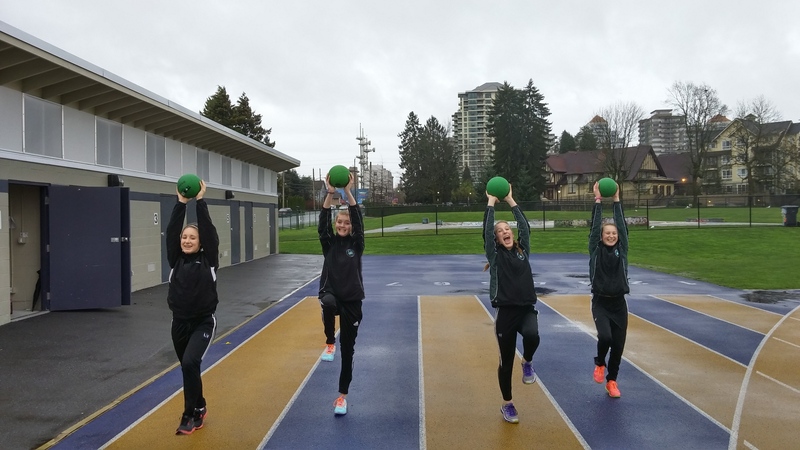 Athletes in the competitive programs have been participating since February at scheduled indoor practices and taking it outside on Saturday mornings for some time at the track.